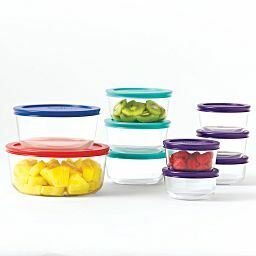 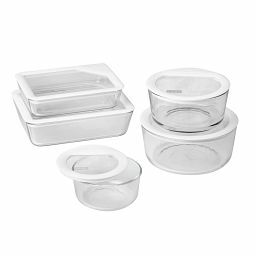 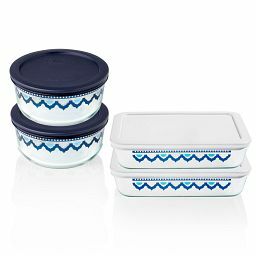 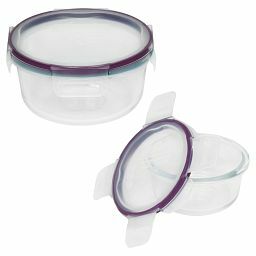 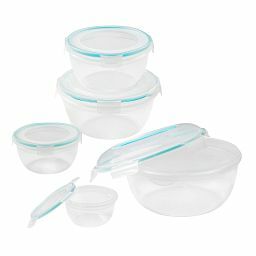 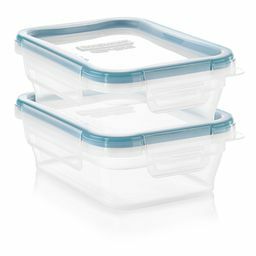 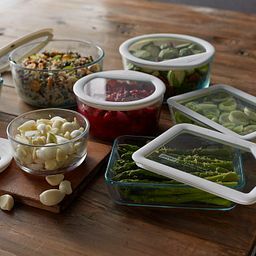 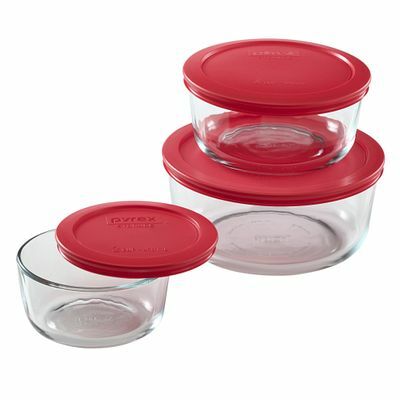 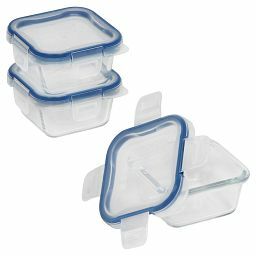 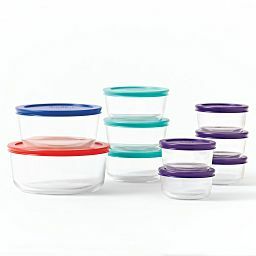 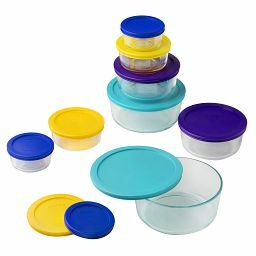 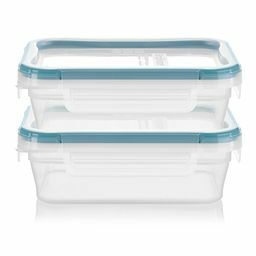 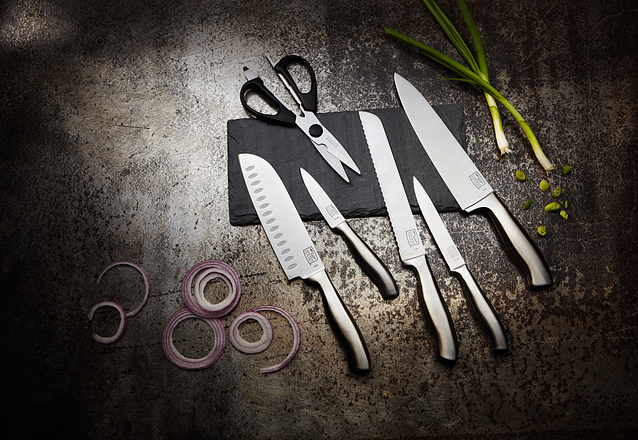 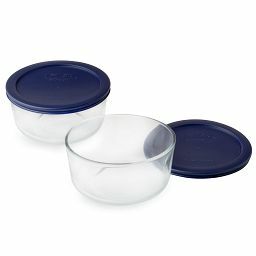 Mix, heat, serve and store in this Pyrex® glass 6-piece storage set. 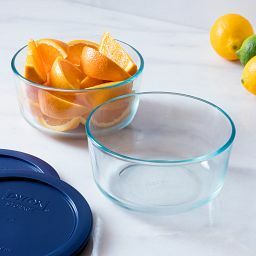 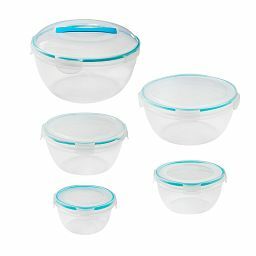 The clean, classic choice for mixing, serving and storing, our versatile 6-piece round Pyrex® storage set also stands up to the microwave and dishwasher time after time. 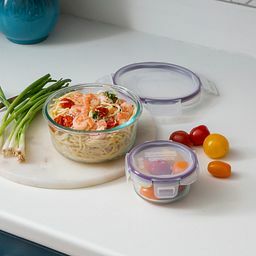 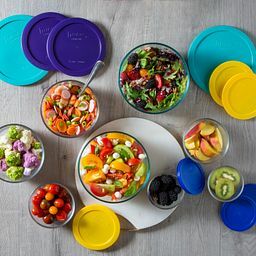 Each bowl comes custom-fitted with a bright-red plastic lid that helps keep food fresh in the pantry, fridge or freezer.